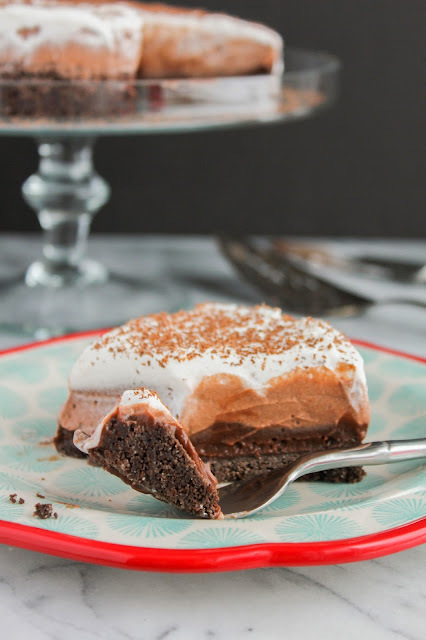 This rich and creamy double chocolate pie will satisfy your sweet tooth any time of the day! Plus, it doesn't require baking! A few weeks ago my sweet tooth smacked me in the face and demanded something chocolaty. I wasn't in the mood for cookies or brownies, I wanted something quick and easy, and something a little different. I don't make pies very often, I'm more of the cake, cookie, brownie type, but this particular day my craving was for chocolate pie. And really, you need to listen to your sweet tooth when it's talking to you. Am I right? 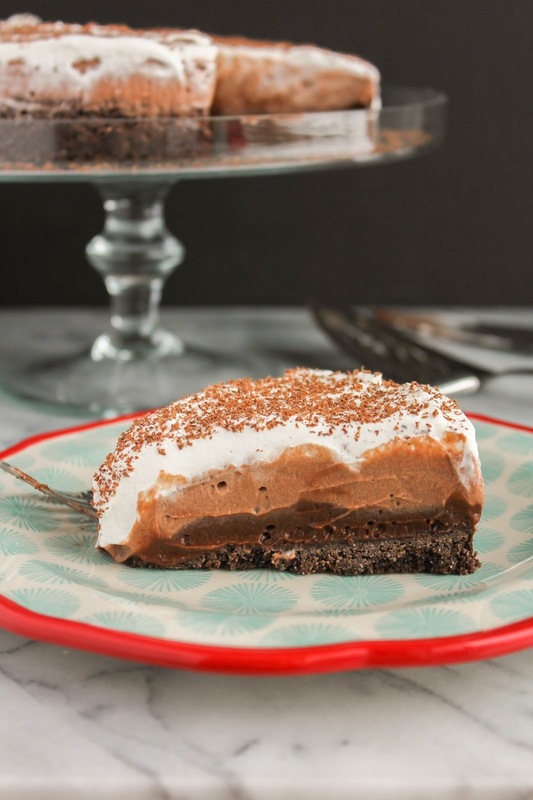 This No Bake Double Chocolate Pie couldn't be easier to make. 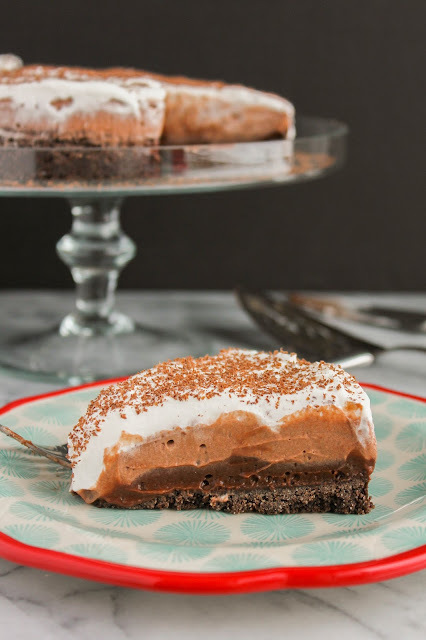 A few ingredients, a few simple steps, and you'll have this decadent pie in your face in no time! Since it's a layered pie, I decided to grab my new PushPan® and give it a whirl. The pan is very deep so it's perfect for these types of desserts! The PushPan® is an alternative to a spring-form pan and is very simple to use. The pan is 100% watertight and leak-proof and has a silicone-lined removable base. When my pie was set and ready to eat, I placed the pan on a can and gently pushed the base until it slid right out! 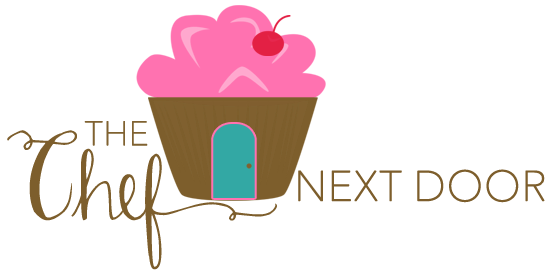 Love Cooking Company is offering my readers a 10% discount on all orders! Just head to their website, pick out the items you want and put them in your cart, and upon checkout use the promo code CHEF10. The code is case-sensitive, so be sure you use all caps! 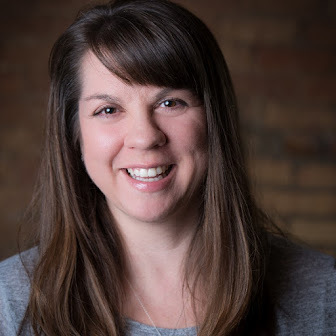 You can also follow Love Cooking Company on Facebook, Twitter and Instagram for more delicious recipes and inspiration! Now, who's ready to make some pie? In a medium bowl, whisk together the graham cracker crumbs and sugar until well combined. Add the melted butter and mix well. Pour the mixture into the PushPan® and press the crumbs into the bottom and up the sides of the pan. Be sure to press down hard so the crust stays compacted. Place the pan in the freezer for 10 minutes to set up. In a large bowl, whisk together the pudding mix and milk until thick, about 2 minutes. Pour half of the pudding on top of the crust and smooth it out with a rubber spatula. Take half of the whipped topping and mix it in with the remaining pudding. Pour that mixture on top of the pudding layer and smooth it out. 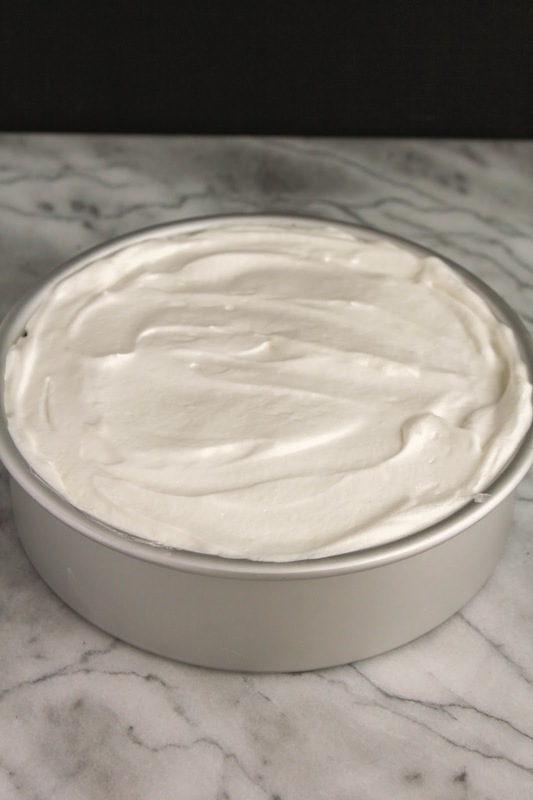 Lastly, add the remaining whipped topping on top and smooth to the edges. Refrigerate for at least 3 hours to set. Once the pie is set, carefully remove it from the pan and place on a serving dish or plate. Using a zester, shave the chocolate over the top of the pie for garnish. I received the PushPan® from Love Baking Company at no charge for recipe development purposes.